John Rothrock helping a happy customer. Yale Cleaners is a small family business dedicated to providing Tulsans’ with the best dry cleaning experience. Yale makes going to the dry cleaners convenient with 12 locations in Tulsa, Broken Arrow, Owasso and Sapulpa; close to where you live or work. Our cleaning facilities feature many creature comforts including covered parking and car-hop service. We pride ourselves in being the only dry cleaner in the Tulsa Metro to offer same day service, six days a week. Yale’s standard service is unbeatable “in by noon out by 5.” Plus, sign up for our free mobile alerts to know the moment your order is ready (Text, Email, and app notifications)! We are known for more than our fast service; Yale is your dependable choice for dry cleaning. For more than 70 years, my family has been helping our customers look their best. Depend on Yale for all of your dry cleaning needs. Yale Cleaners continues to lead the dry cleaning industry in ongoing technological advances. Our customers love our iPhone and Android apps featuring Extra Care (read our Extra Care Blog to find out more). Take advantage of our great money saving coupons right from your phone, using our app or website. 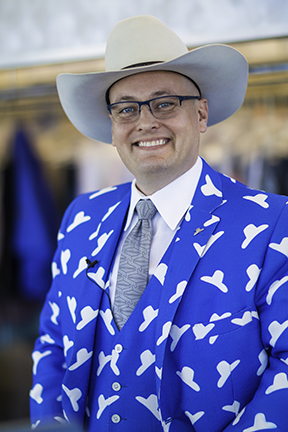 Don’t just take my word for it; find out for yourself why the readers of Oklahoma Magazine have named Yale Cleaners “Best of the Best” dry cleaners every year since 1998. We have also been awarded A-List best by Tulsa People Magazine and have an A+ rating with the BBB for more than 45 years. I’m so confident in our service, I’m going to clean your first laundered shirt or blouse and a pair of pants for free! 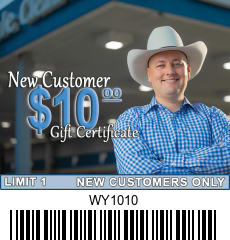 Print or show this $10 New Customer Gift Certificate on your first order! My team and I are here to serve you. Please contact us anytime through our website, mobile apps, Facebook, telephone, or in store.